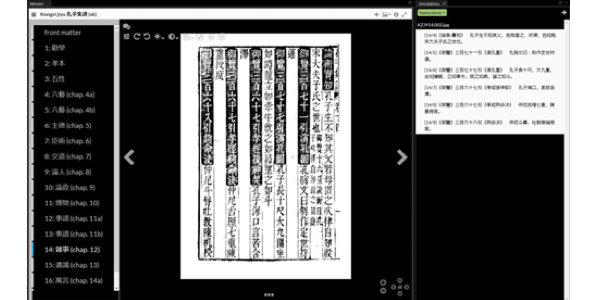 Developed at Yale University with the support of the Andrew W. Mellon Foundation, the Ten Thousand Rooms (tenthousandrooms.yale.edu) is an open-access platform that gives users the tools to collaboratively transcribe, translate, and annotate pre-modern sources. Designed primarily as a scholarly workspace, it is also a teaching tool and a venue for showcasing philological work unsuited to traditional publishing formats. In this talk, Prof. Hunter will introduce the platform and discuss its place within the International Image Interoperability Framework (IIIF) community, a growing list of institutions committed to providing open access to high-quality image resources. This workshop is sponsored by the SSHRC Partnership Grant project From the Ground Up: Buddhism and East Asian Religions.